Efficient operations and the right staffing structure are fundamental in ensuring increased staff productivity. Greg Marsello, LERN Vice President for Organizational Development and a presenter at the LERN Operations and Staffing Institute, offers up his top 20 tips for increasing staff productivity in your program in this whitepaper. At the Operations and Staffing Institute, which is part of the 2015 LERN Institutes, April 13-16 in Savannah, Ga., you will learn even more ways to improve your program's operations and make your program more profitable. Past attendees have used information from this Institute to generate new programs, some of which generate more than $1 million annually. Give your program an advantage in today's challenging marketplace. 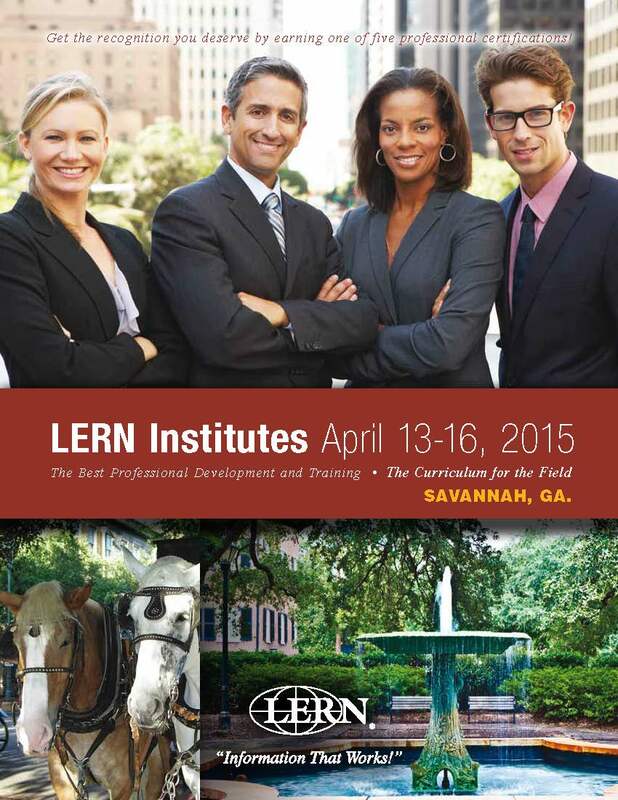 Download the 2015 LERN Institutes brochure now and register!